Seventy years ago today, Paris was liberated. On August 25, 1944, after five years of German Occupation, the Nazi commander and military governor of Paris, General Dietrich von Choltitz, surrendered at the Hôtel Meurice, across from the Tuileries Gardens, one of the places where the French Résistance had started a revolt from the inside. Enough time had been lost under the Occupation, the freedom fighters felt. They refused to just sit by and wait for the Allied troops to free the city for them. A partial retreat of the German Army started on August 19th and people stayed indoors, so as not to give the retreating soldiers an excuse to vent their bad tempers. But the streets didn’t remain deserted for long. The FFI (Forces Françaises de l’Intérieur) - a term coined by French General de Gaulle from his wartime London HQ - took part in skirmishes throughout the French capital. The Tuileries was one place of insurrection. The Préfecture de Police on the Ile de la Cité was another one, and the pockmarks of the gun battle between the French and their Nazi overlords are still visible on the facade facing Notre-Dame. General strikes erupted as of August 18th, but not in time to stop the last convoys to Buchenwald. Résistance posters sprang up throughout the city. Many heard the call; at least 1,000 lost their lives. Meanwhile, General Eisenhower, the Supreme Allied Commander in Western Europe, had his sights on Germany. 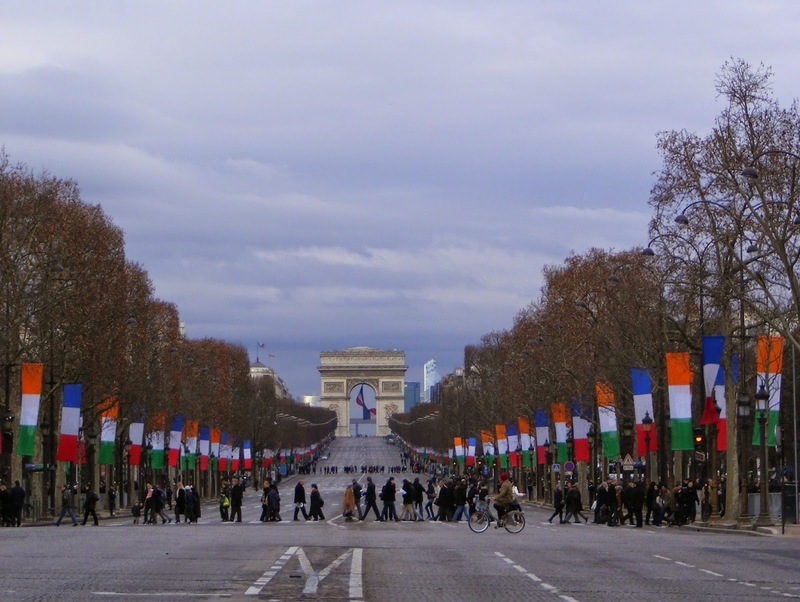 His intention was to head straight for the border, giving Paris a wide berth. The French capital would take too much time and assets in guerrilla street-by-street warfare, he felt. Plus he knew that Hitler had ordered Paris to be leveled rather than surrendered; the German army had already set fire to the Grand Palais, a stronghold of the Résistance. But de Gaulle, being characteristically de Gaulle, and fearing starvation and reprisals by the Nazis, said that, should Eisenhower do that, he would give the order for the French 2nd Armored Division to liberate the city on its own. He pointed out to the American general that the Communists had been the leading, and for the first years of the Occupation the only, organized force fighting the Nazis within France. If Paris were not freed, the way would be open for the Communists to do it themselves and then take over the government. (As it was, the Communist Party became a respected force in French politics for years after the war because of their role during the Occupation.) Although the USSR and the USA were Allied partners in this war effort, the specter of the future Cold War was already perceptible. De Gaulle’s arguments won out. French Gen. Leclerc led the 2nd Armored Division toward Paris, then through the suburbs and into the capital itself. General von Choltitz surrendered at his hotel on August 25th, 1944, and Paris was still standing. It was a happy day for Paris. 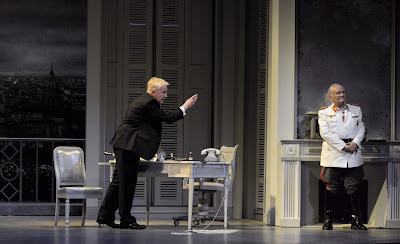 A play called Diplomatie covers the secret meeting between von Choltitz and Swedish consul-general Raoul Nordling, at the request of the Résistance. No one really knows what was said. Perhaps, even without Nordling’s intervention, von Choltitz would have disobeyed Hitler’s order to reduce Paris to rubble and refused to detonate all those tons of dynamite placed under every bridge and every monument of the French capital. But Paris was saved in the end, and that’s all that really counts. A movie has since been made with the same leading actors: Niels Arestrup and André Dussollier. I wrote about that play in my blog on October 21, 2011. You can go back and read it if you want: http://www.sandyschopbach.blogspot.fr/2011/10/out-and-about-diplomatie.html. Fittingly, perhaps, this blog about the city I love so much is Blog Number 200 of Sandy’s France.